Yet another vegan pesto, but one of the better ones. 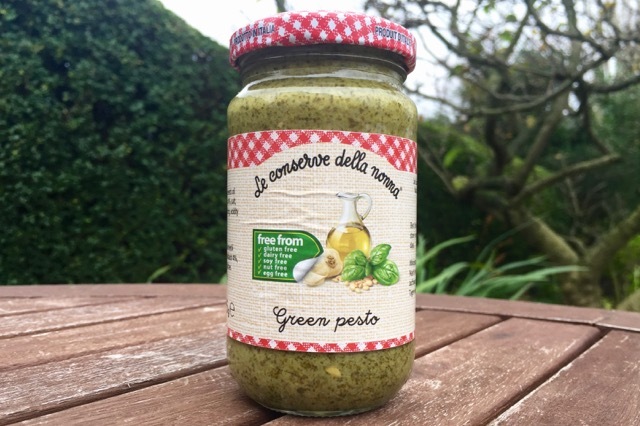 This time it's the turn of another genuinely Italian brand Le Conserve della Nonna. 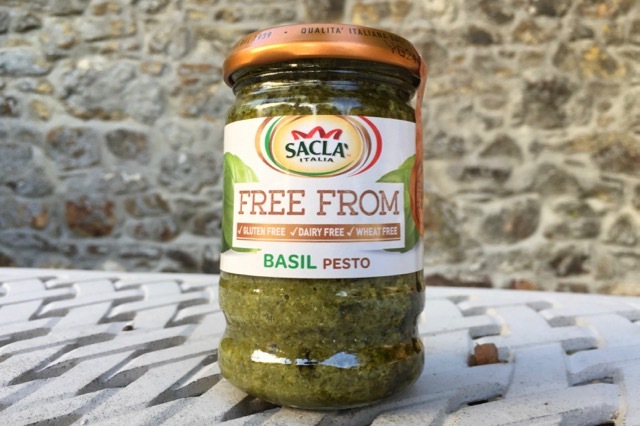 The company is a 'free from' outfit offering pasta sauces and ragus, bread spreads and conserves, which appear to be all vegan as well as gluten free. The expanding vegan grocery market in the UK means we easily laid our hands on four brands of vegan pesto for our taste test. A decade ago you had to make your own; now we can compare who makes the best stuff for us to buy. 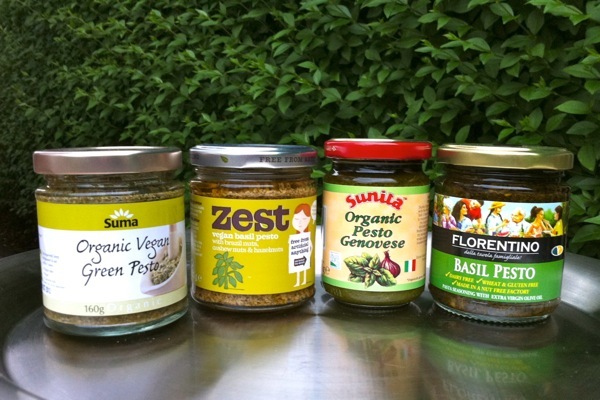 These are four very different takes on pesto...as we'll see in our vegan pesto taste test. There are at least 4 types of vegan pesto on sale in the UK, which surprised us when we set out to look for them. Pesto is easy to make yourself, but if you're looking for the readymade stuff there are plenty of dairy-free options to choose from. 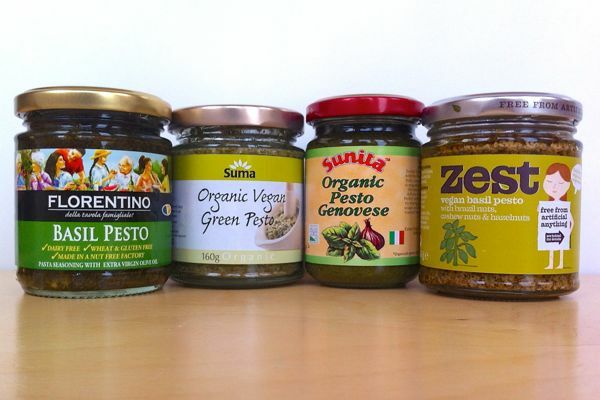 The brands we'll be testing are Suma, Zest, Sunita and Florentino. They all differ in their make-up, some with pine nuts, others with less traditional brazil nuts...but which is best? Coming soon on Veganoo.